The outstanding feature of the Little acorn 100 degree wide angel wildlife camera is its super-wide digital images. It covers about 3 times the area of other typical game cameras. Its detection area covers 100-degree field of view. This gives that elusive animal virtually nowhere to hide. It’s perfect for wildlife watching and also makes a good choice for home security installation. The ltl acorn hunting camera detects heat and movement in the 59 feet range with the PIR motion sensor. For taking pictures, there are several modes you can choose from. The multi-shot mode records several photos of the animal after its motion was detected. The single mode for capturing just a single photo. The time-lapse mode for triggering the camera at certain intervals that you can set according to your needs. The hybrid mode can be used for triggering the trail cam and recording videos. Wide angel 100 degree features No Glow technology that makes the camera minimally intrusive. For night illumination, the device is equipped with 44 LEDs .The model records both photos and videos. 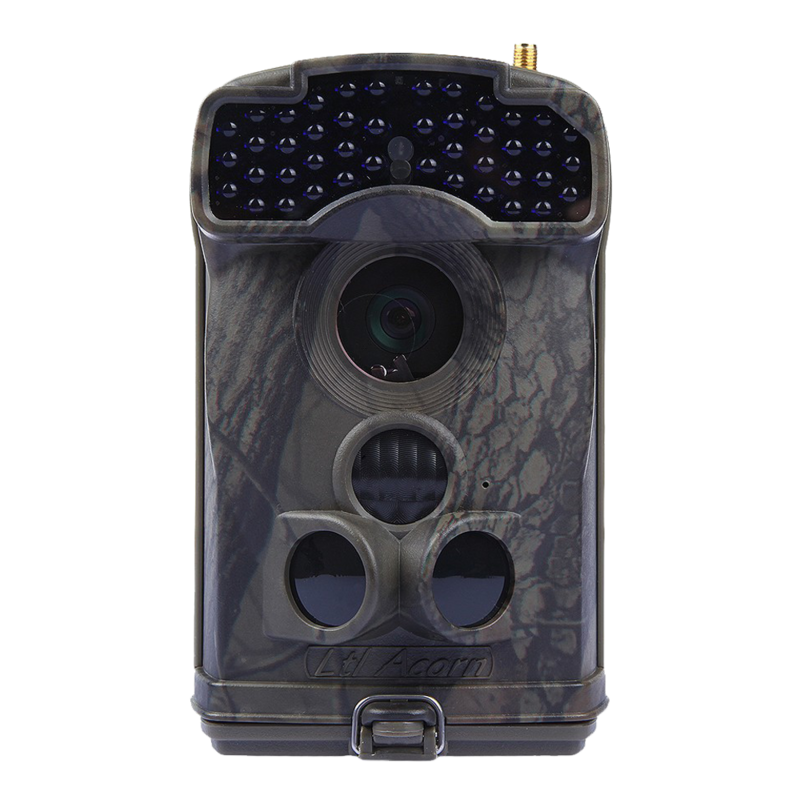 The wide angle MMS hunting camera little acorn 6310WMG with MMS fuction.It can send images to your phone and email account.